Collaborative performance with cello player Wen Chin and experimental vocal artist Marie Guilleray. 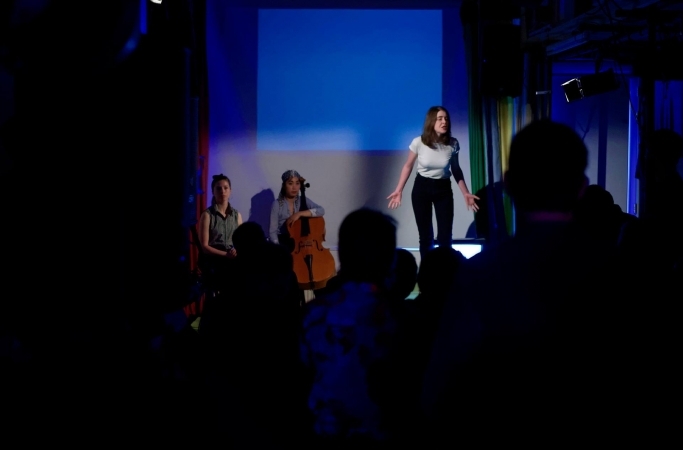 The video Cul de Sac was used as the basis for a live performance titled Three Piece Suite (2015). During its screening, the video was supplied with a new three-part sonic layer in which the idea of translation and reciprocity played an important role.